Courtesy of Cristian Vergara, PatagoniaSwim.com, Chile. 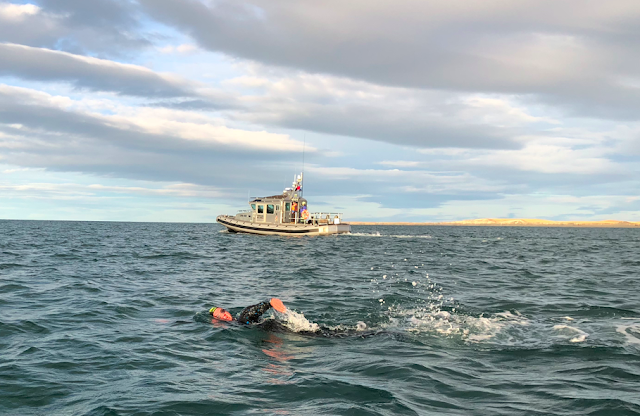 Francisco Aguirre of Chile successfully crossed the Strait of Magellan in 1 hour 14 minutes 52 seconds in a tandem swim with Stephen Junk of Australia. Cristian Vergara of PatagoniaSwim reported, "The swim started on April 10th at 8:46 am from Punta Delgada swimming south to Tierra del Fuego in Chile. The weather that morning was partly cloudy skies with winds at about 14 knots. Each swimmer was escorted by a Zodiac to guide them and act in case of an emergency. 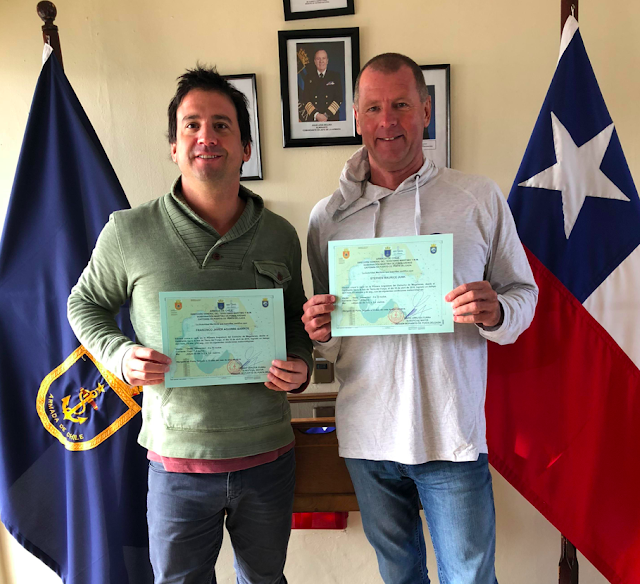 The swim was organized by PatagoniaSwim.com with the support of the Chilean Armada and medical support from the community of San Gregorio."